Ebonheart is a city in central Stonefalls. It is ruled by House Dres, but has a significant presence of House Redoran and House Hlaalu. 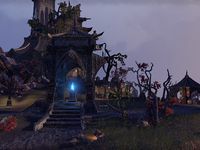 The northern district of the city is inhabited by former Argonian slaves, who even have their own Hist tree, while Ashlander traders and Nord sawyers camp outside the southern gate. The city is ruled by Drathus Othral. Its citizens are experiencing some racial tensions. 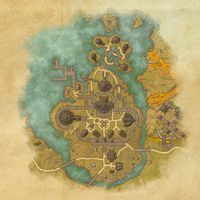 Ebonheart Objective: Unite the citizens of Ebonheart. Ebonheart Wayshrine is located in the center of the city. ±This character has been removed from the game.